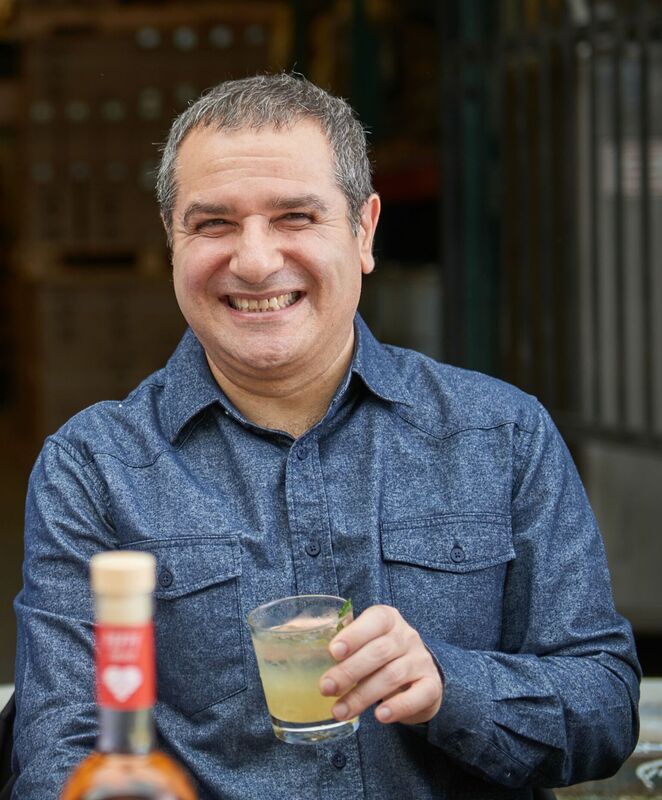 Melkon Khosrovian is CEO at Greenbar Distillery which is based in theArts Districtof downtown Los Angeles. 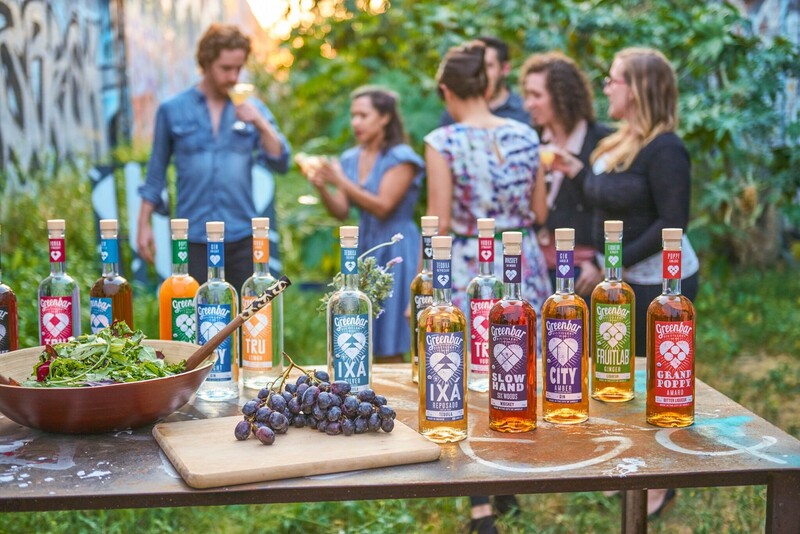 It is the city’s first distillery since Prohibition and makes the world’s largest portfolio of craft organic spirits, including TRU vodka, CITY gin, CRUSOE rum, FRUITLAB liqueur, IXÁ tequila, SLOW HAND whiskey, GRAND POPPY amaro and BAR KEEP bitters. 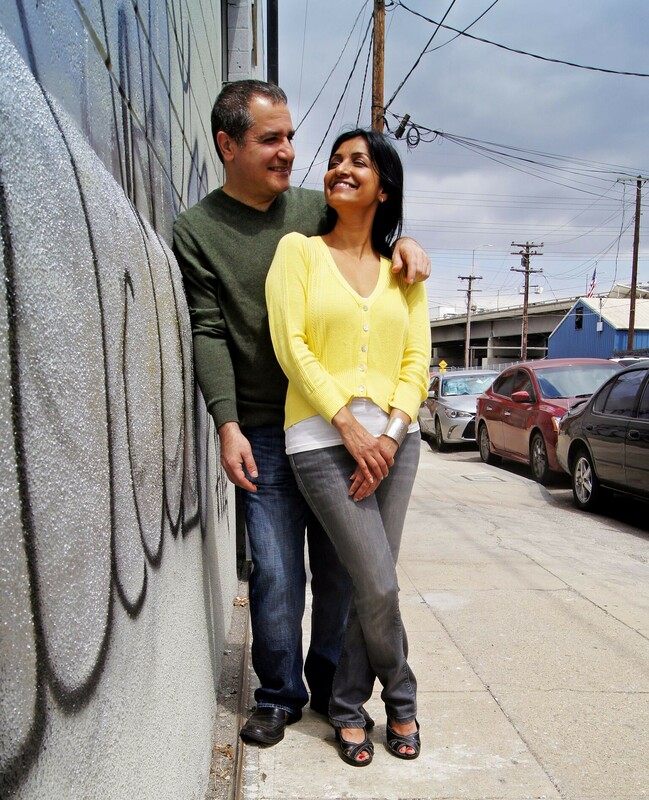 Founded in 2004 by Khosrovian and Litty Mathew, the company seeks to make better spirits for a better planet. Thank you so much for doing this with us! Can you tell us about your journey to becoming CEO? When my wife, Litty, and I started Greenbar Distillery back in the dinosaur days of craft distilling, we tossed a coin to see who would be CEO and who would be CFO. I lost. The coin toss, however, put me on a very satisfying exploration of what we ‘re ultimately trying to achieve. Is it manufacturing liquor? Is it changing the way people drink spirits? Is it designing a specific company culture? Since Litty and I work closely, I don’t have to decide everything solo. But my job is to keep us on track and be aware when we have to make changes. We’ll consider Greenbar Distillery hugely successful if we can help bring cocktail culture out of bars into homes in a meaningful way (beyond rum and cola). When we see regular folks mixing great drinks with fresh ingredients and bitters with great spirits for friends and family, there will be a high-five. 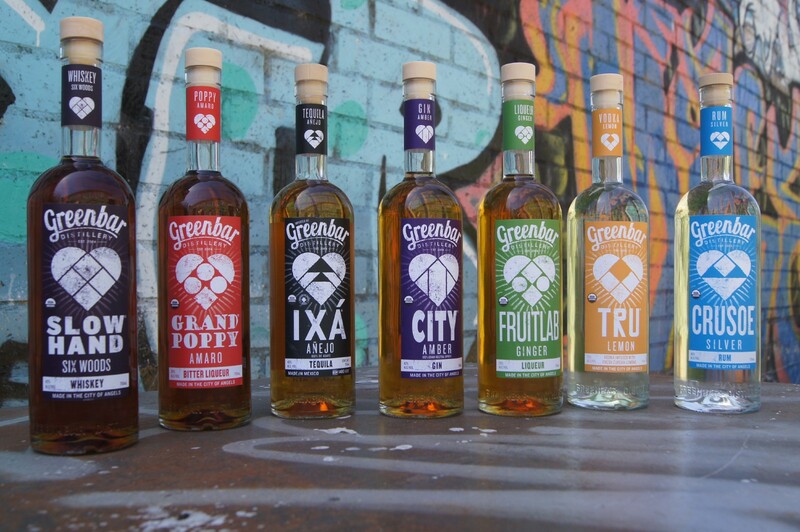 Today, Greenbar Distillery makes the world’s largest collection of organic spirits. This isn’t remotely how we got started and the journey was, quite literally, mind altering. After taking our hobby commercial in 2004, Litty and I happily broke many industry conventions on flavor and production, the core ways we could make alcohol taste more like food and less like chemical flavoring. We also adopting some of our industry’s sourcing and packaging practices as givens. For a time, everything went smoothly. Then in the summer and fall of 2007, we began to notice that some batches started to taste “off” — even though we used the same ingredients from the same farmers in similar proportions to make the same spirits. Something was way too strong and forced us to remake the batches. After triple checking our records and realizing that it was the ingredients, not us, we contacted the farm to find out what was going on. It turned they had just changed some of their land to organic farming and we were getting the first organic harvests. They told us these healthier, heartier plants produced more aroma and flavor for their own survival. We noticed! We may have first seen this flavor change through the prism of frustration. But we soon recognized it for what it really was — our key to making better, more flavorful spirits for our customers to enjoy. After a few tests to confirm our suspicion, we converted our whole company to all organic ingredients and have never looked back. Let’s just say that 2008 was a coming-of-age year for Greenbar Distillery. Working through the worst economic meltdown since the Great Depression led us to only two options: lock our doors or figure out what Greenbar Distillery really had to offer. And quickly! We had less than $30,000 left in the bank in September of that year. This crisis came in the midst of the distillery’s migration from conventional to organic ingredients. We were also squabbling with our main wholesaler over unmet goals and we couldn’t exit our relationship without paying a huge penalty or rebranding the whole company. Staring at certain death, we leapt into the unknown by going all in with organics — new name, packaging and distribution channels. That decision not only saved our company but put us on our path to success. Our only guide was how we wanted the spirits to taste and perform in cocktails. Most of our peers have an ingredients, technique and/or heritage perspective, which have their own value. But we think in reverse, from how our customers will experience our products back to how we need to make them and what ingredients we’ll need. I think it’s helped us make more useful products. And better tasting cocktails. When aren’t we! Sticking out our neck to make a new spirit that will excite our customers and solve problems at the bar is our most important job, after all. Today, we’re putting the finishing touches on Greenbar’s orange bitters. This may sound relatively modest but a good orange bitters is the holy-grail ingredient of cocktails. It should combine the sweet aroma of oranges with the deep notes of baking spice. And you must be able to taste it in a cocktail with just 3–5 drops. Most bartenders today tend to combine two bitters to do the trick. For Greenbar Distillery, sustainability has come to mean something quite radical. We don’t simply want to waste less. As a civilization, we’ve taken much too much from nature for taking less to be a viable option any more. I think that it’s time to put back more than we take — a philosophy that we’ve built into our business model. We do this in two ways: first, by creating the smallest possible carbon footprint we can in how we make and ship our spirits and second, by giving back more than we take. For instance, we create 2.5 kg of greenhouse gases to make and ship a bottle of spirits. Simultaneously, we remove 792 kg of the same greenhouse gases by planting a tree per bottle sold. On a net basis, Greenbar Distillery helps remove 315 times more greenhouse gases than we create. But the net positive impact doesn’t end with us. Our impact is so radically carbon negative that when our customers drink a cocktail with 1.5 oz of any of our spirits, theybecome carbon negative for a day! Hire hard and manage easy. Whomever coined that phrase was really smart. Every time we’ve compromised on a hire, it’s bitten us in the behind! There are still teeth marks back there. Though it’s harder than ever to find great talent, I’d strongly advise patience until the right candidate comes along. At worst, hire a qualified consultant. It might cost more upfront but it’ll save money in the long run. While our managers and employees take the cake, Greenbar Distillery owes a special thanks to one of our very first investors, Thomas Stevens, whom we think of as our company’s guardian angel. His thoughtful, supportive prodding to always live up to our potential and create value for our customers has done more to help us get to where we are than even he might realize. If I’m ever lucky enough one day to invest in others’ dreams, I’ll be channeling Tom all the way. I’m not sure it’s goodness but it is the right thing to do. Every bottle we sell means one tree planted. To date, we’ve planted 723,931trees. That, plus our low carbon footprint means that we’ve turned 12.5 million Americans carbon negative for a day. You better love what you do…because the workday never ends. Think of employees like family…because you’ll be spending more time with them than with relatives. Stamp out bad apples and drama…because work is hard enough without them. Learn to love flying coach…because nothing speaks louder than leading by example. You sometimes have to deliver bad news…because the buck stops with you. I’d try…er…am trying to inspire companies to build social good — however they see it — into their products and services rather than save them for year-end philanthropy. Whether your company makes furniture, provides legal services or sells produce, build something worthwhile into your offering. Then let your customers know that their choices are helping solve, not create or ignore problems. Particularly in this age of nonstop sharing, I believe that connecting good deeds to ordinary commerce and then shining the world’s collective cell phones on them can produce amazing results for humanity. At the risk of adding to the overuse of Einstein quotes, when required, I remind myself “No problem can be solved with the same level of consciousness that created it.” This means I may have to change my thinking on a situation or ask someone else to step in. The latter is quite a bit more humbling. Hi, Oprah. Can I come over, make you a delicious cocktail and talk about changing how the world drinks?